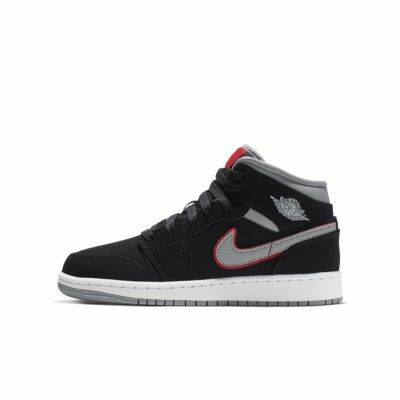 The Air Jordan 1 Mid Older Kids' Shoe brings full-court style and premium comfort with an iconic look. A comfortable upper combines with time-tested cushioning for street-ready style on and off the court. The Air Jordan 1 Mid Older Kids&apos; Shoe brings full-court style and premium comfort with an iconic look. A comfortable upper combines with time-tested cushioning for street-ready style on and off the court. Genuine leather and synthetic upper is durably comfortable. Nike Air cushioning in the heel creates lightweight, bouncy cushioning. Have your say. 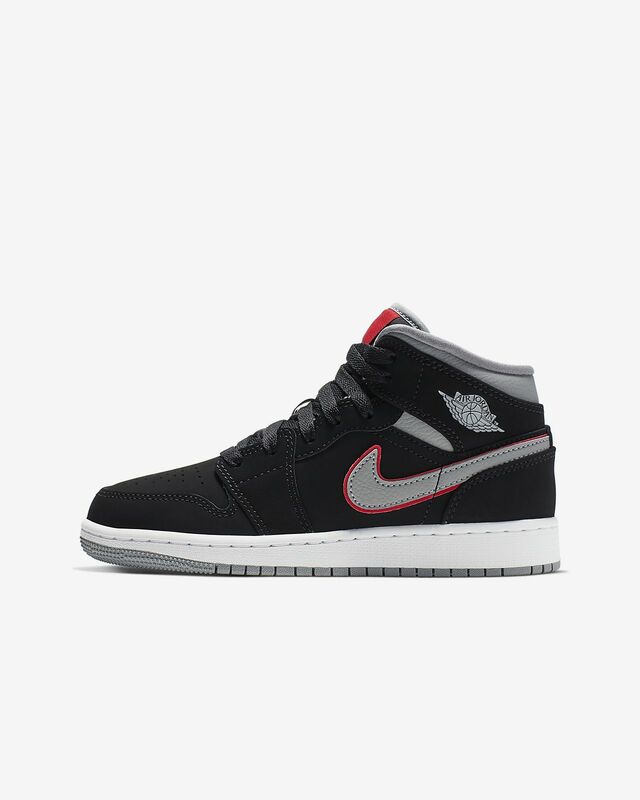 Be the first to review the Air Jordan 1 Mid.